Tolulope MusaakaTm9jaset the pace for 2019 with a massive refix of his 2018 singleUnderrate. TheBig Dreproduced wave has been gaining massive attention in the country and becomes bigger with the efforts ofSound Sultan,Small Doctor,Chinko Ekun,QdotandZlatandelivering outstanding verses on theOga JojoMixed and Mastered effort byTm9ja. Seems like we have got the Best Collaboration of year already. The Video was directed byMic Davizfor Project Pictures. 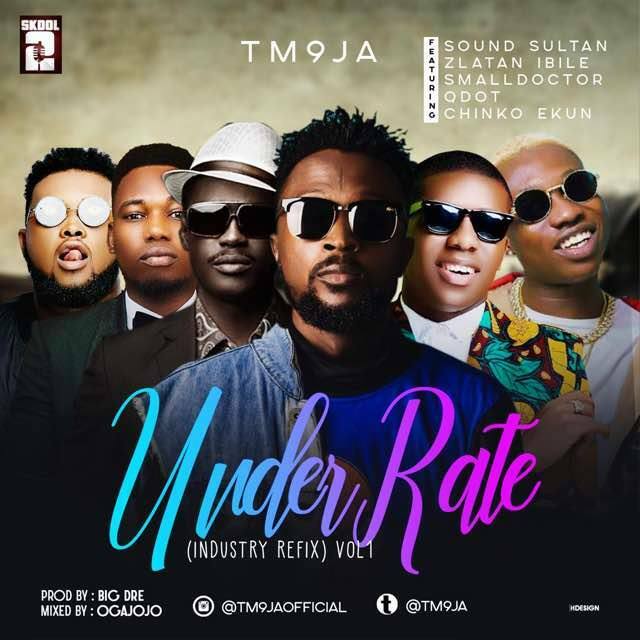 The post [Music & Video] TM9JA Ft. Sound Sultan, Small Doctor, Chinko Ekun, Qdot & Zlatan – Underrate (Refix) appeared first on Naijaloaded | Nigeria's Most Visited Music & Entertainment Website.